"That violación," Diaz writes. 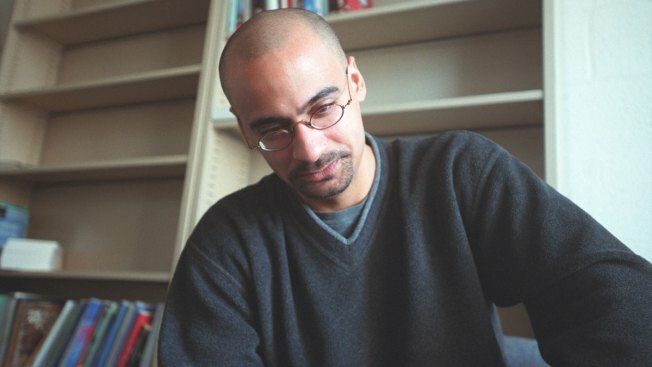 "Not enough pages in the world to describe what it did to me"
A file photo of author Junot Diaz. Junot Díaz revealed in a powerful essay in the New Yorker that he was raped as a child, an experience that Pulitzer Prize winner and bestselling author said has haunted him and shaped the course of his life more than his Dominican or immigrant heritage has. Diaz, 49, whose books include "The Brief Wondrous Life of Oscar Wao," wrote he was raped at age 8 "by a grownup that I truly trusted." "I spent more energy running from it than I did living," he said. Diaz went on to describe his past attempts at suicide and failed personal relationships with women who he could never tell about his trauma, NBC News reported. The essay begins by recounting an experience with a fan at a book signing years ago where Diaz said he regretted being evasive when asked if the sexual abuse alluded to in his books had happened in real life. Diaz, who is now on a book tour to promote a new children’s book he's written, acknowledged that he's "found myself telling lies, talking about a kid that never was."